Home Cyber Attack Security and privacy, hope and change? With analysts predicting a big shift to Windows 10 in the enterprise in 2017, a new ESET white paper looks at security and privacy changes in Windows 10 Anniversary Update, the build that Microsoft expects its business customers to run on the majority of their desktop computers. You may recall that last year WeLiveSecurity presented a detailed white paper examining Windows 10 from a privacy and security perspective. Apparently, many readers found this helpful, particularly IT professionals contemplating enterprise upgrades to Windows 10 from earlier versions. 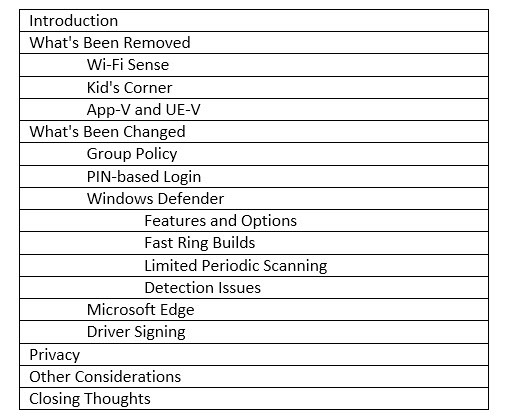 With a number of analysts now predicting that 2017 will be the year most enterprises make the move to Windows 10, ESET is publishing a new Microsoft Windows 10 white paper that covers changes to security and privacy features in Windows 10 Anniversary Update (aka Build 14393, Redstone 1, Version 1607). Microsoft originally delivered Windows 10 Anniversary Update last August, celebrating the first anniversary of its flagship desktop operating system with new features and functionality, and designating it as the Current Branch (CB) for consumers. In late November, Microsoft announced that the Windows 10 Anniversary Update was designated as the Current Branch for Business (CBB). That means this build of Windows 10 Microsoft is the one expects its business customers to run on the majority of their desktop computers. As Microsoft has promised, this build of Windows 10 contains improvements over Threshold 2 (aka Build 10586), the previous build of Windows that was released in November 2015. However, it also removes some features, makes changes to others, and has some issues which may impact its users’ security. The new white paper can be downloaded here: Windows 10 Anniversary Update Security and Privacy (PDF). If you have any security or privacy questions about the Windows 10 Anniversary Update, please feel free to ask them, below. The previous white paper can be downloaded from ESET’s We Live Security blog here: Windows 10 Anniversary Update Security and Privacy. Have you upgraded to Windows 10 Anniversary Update yet, or are you holding off? If so, let us know why, below! Previous articleHow can I secure my IoT devices at home and at work? Next articleWhen does a 'compromised' alert resolve?